Instructions for Submitting Announcements for FPD Notes – NOTE NEW ADDRESS! The First-Year Programs Division cordially invites abstracts for papers to the presented at the 2018 ASEE Annual Conference, which will be held June 24-27 in Salt Lake City. Abstract submissions will open on September 5, 2017 and are due by October 16, 2017. Details regarding the process, topics of interest, and types of submissions can be found in the division’s Call for Papers, which can be accessed via the following link: ASEE 2018 Call for Papers. Review the FYEE Host Proposal Guidelines and submit a FYEE Host Proposal Form. Here is the link to submit your proposal: Proposal Submissions. As indicated in the document describing the proposal process, the general chair of a conference will ultimately be required to propose a cost neutral budget. Therefore, the general chair will be expected to find appropriate university and corporate sponsorship for any conferences expenses not covered by registration and exhibitor fees or sponsorships. Questions regarding hosting the conference can be addressed any member of the FYEE Steering Committee. Several members have experience hosting previous FYEE conferences. We encourage you to visit the FYEE website: http://fyee.asee.org/FYEE2017/ to learn more about the conference, which was hosted by Embry Riddle Aeronautical University in Daytona Beach, FL this year. Plans are currently underway for the 2018 FYEE Conference which will be hosted by Rowan University, near Philadelphia, in early August 2018. We look forward to hearing from you. Feel free to share this announcement with others. Please forgive any duplicate emails you may have received if you have recently attended the conference. 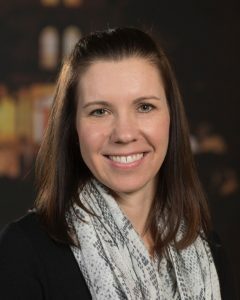 Dr. Kerry L. Meyers is Assistant Dean for Student Development at the University of Notre Dame where she teaches in the First-Year Engineering Program. She is also the Director of the Women in Engineering program working with women faculty as well as graduate and undergraduate students. Her primary research interest is focused on engineering major selection and also does work in assessment of engineering educational initiatives. She has been involved with ASEE and First-Year Programs since 2005, and is Program Chair for the division for the 2018 ASEE Annual Conference in Salt Lake City. Submissions for the next issue of FPD Notes can be sent to our newsletter editor, Rich Whalen, at: R.Whalen@northeastern.edu – please use the subject line “FPD Notes Submission”.